This cute little cafe is in prime position. Smack bang between a library and the awesome Phoenix Park Playground. 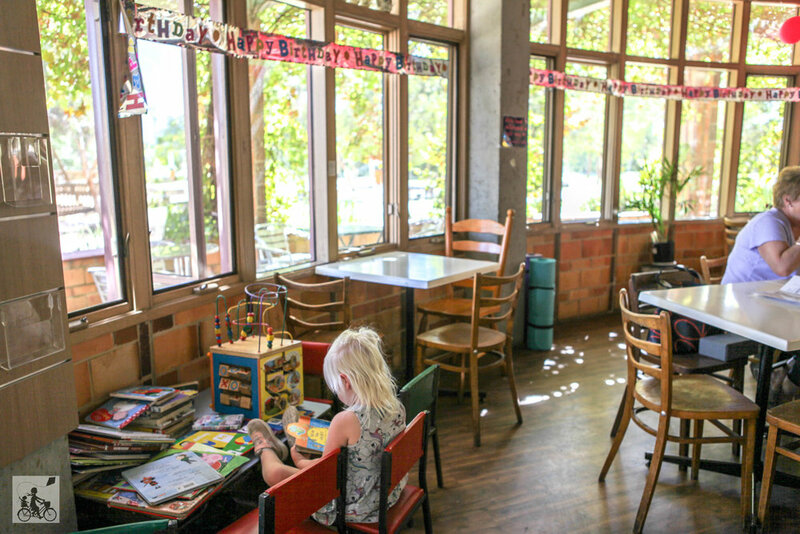 Naturally, it completely caters for kids - with kid-size chairs, books, toys and a kid-friendly simple menu. Plenty of room inside for prams, with a cafeteria-hall style room. Outdoors has little tables under the cover of perfectly picturesque leafy trees. The menu offers hot food like toasties, hot chips, pies/sausage rolls and soups, and also sandwiches, cakes and hot/cold drinks. Even icy poles are on offer! The venue can also be hired for kids parties - how cool (easy!) is that! Once you have refreshed, head over to the awesome Phoenix Park Playground, or have a read in the library upstairs. 10am – 4pm except Tuesdays and public holidays (times may vary).